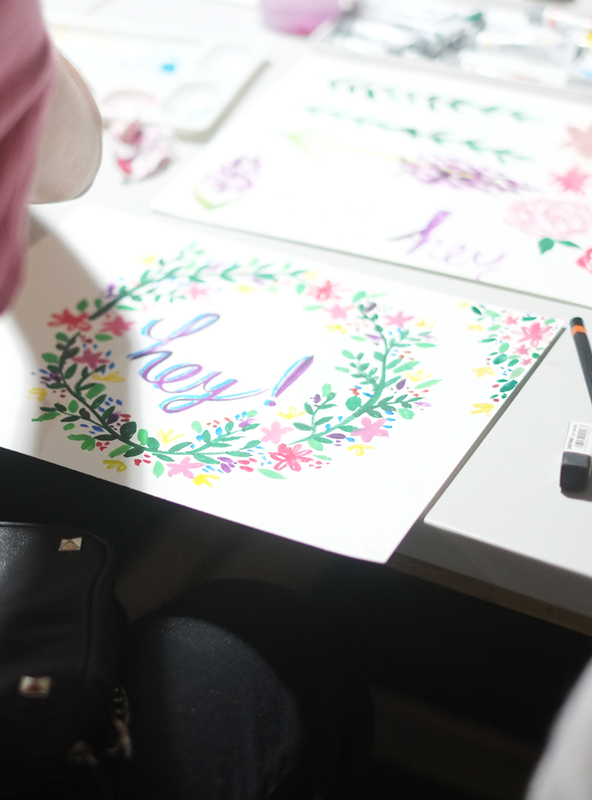 A few pictures from my watercolor workshop at Hype Festival a couple of months ago. 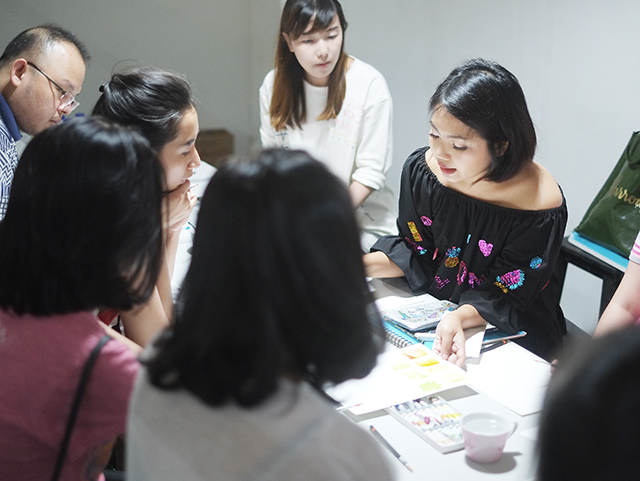 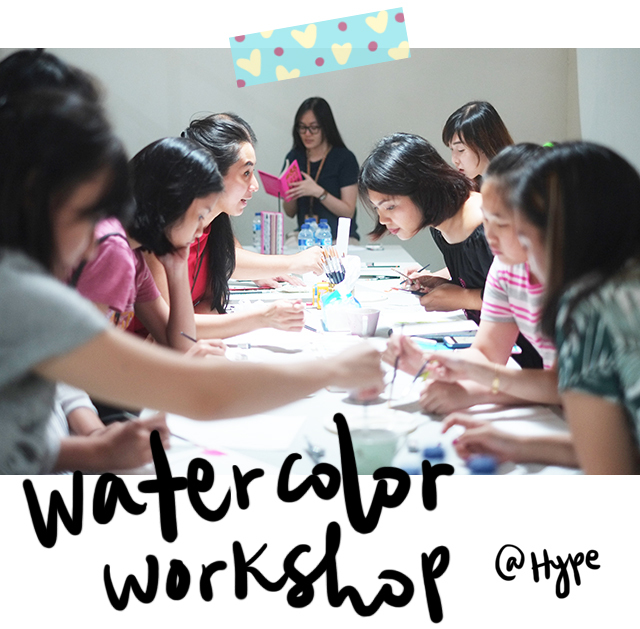 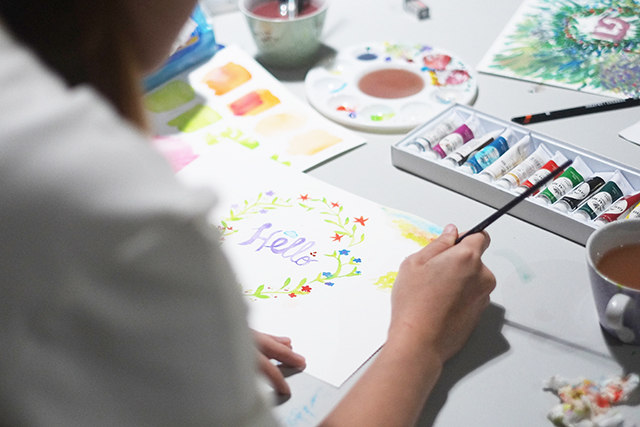 I shared the basic of watercolor painting and mostly encouraging the participants to start painting without drawing the outlines first. 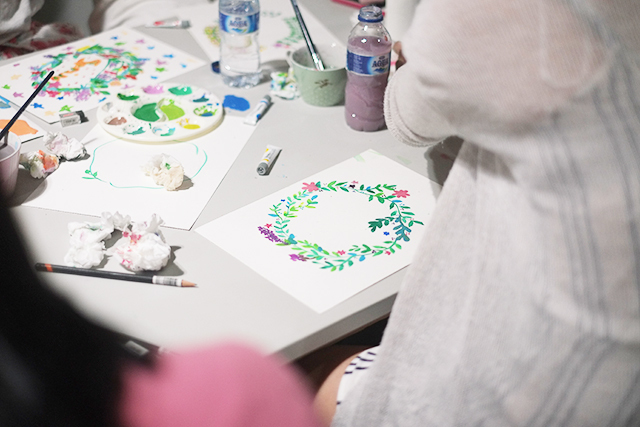 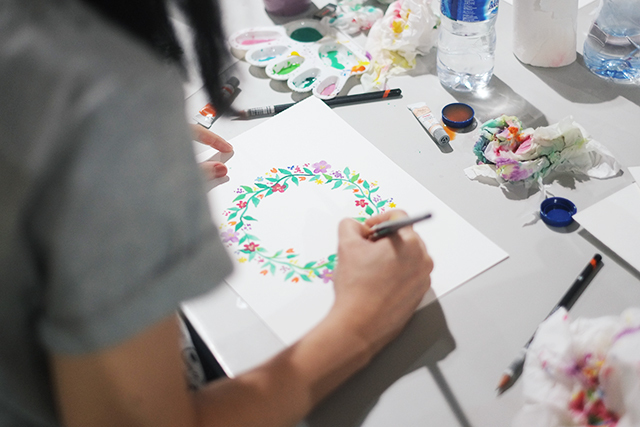 So happy with the results that the participants created in the workshop, pretty floral wreaths!